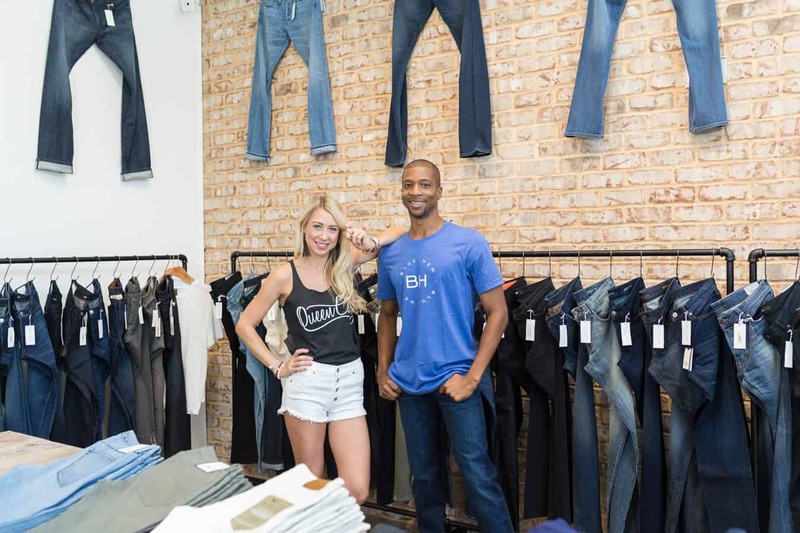 Charlotte denim boutique Blue Hem was the site of our location. The purpose of the shoot was to capture lifestyle photographs showing off their collection with local celebrity blogger Queen City Chic. As required with any of our shoots, we had lots of fun and I was even flattered that I was asked to stand in for a few shots. Be sure to check out Blue-Hem.com to see what they have to offer, the ladies that own the store are very cool and will make sure you are looking good.